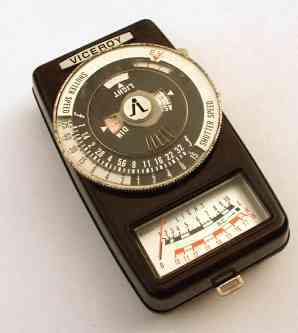 Why on earth would anyone want to buy any other make of exposure meter when there is a Weston available? Here you'll find some of the best and worst meters together with a little on their strengths and weaknesses. The fact that some of these makes are still around in the digital age must mean that they had something and this is best summed up by Cds and Flash. 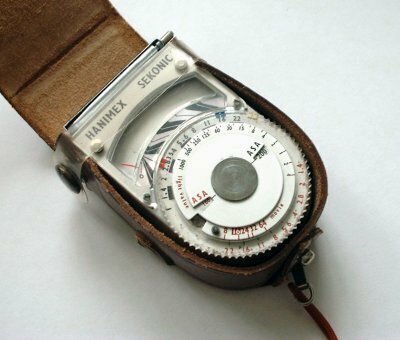 Weston only twice ventured into Cds meters with the excellent Ranger 9 but only in the US, and the XM-2 Sekonic-made model. Cds meters use a battery and a cadmium disulphide (disulfide in the US) cell which gives much greater sensitivity in very low light - as in the well-named Lunasix. 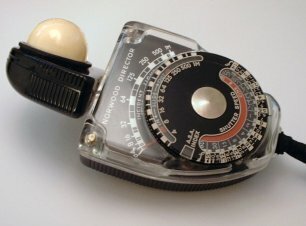 Other manufacturers including Sekonic went into flash meters but Weston never went this way. 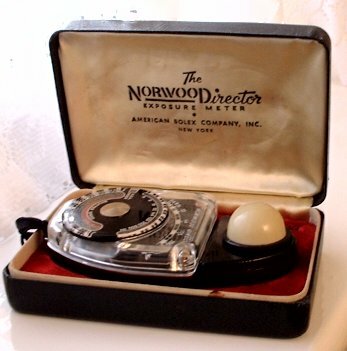 The beautifully made and designed Norwood Director first appeared in the late 1940's, and it has continued in production under the names of Brockway, Sekonic Brockway and now just Sekonic. It was the favourite of Hollywood Directors of Photography - an area where the Weston never really gained a foothold. It's strength is the built-in incident light cone which faces towards the operator so it can be held up to the subject and the light intensity read off. To do this with the Weston means turning the meter dial away from the operator. In fact the Norwood's cone can be swivelled through nearly 360 degrees making it very convenient to use where detailled incident light readings over many parts of the set are required - something DPs often need. Even though the Weston is technically more accurate especially in back-lit situations, it is too awkward to use in this situation. 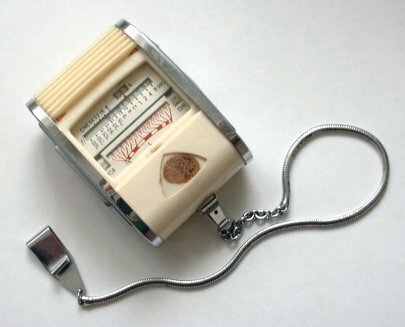 The meter was considerably more expensive that the Weston and so was little used by amateurs. It came with a slide which adjusted the sensitivity of the reading, a blank slide and two circular disks to replace the incident cone, to allow reflected light readings to be made. The Director shown in this picture, serial no 46862, is in beautiful condition although the cone is a little yellow now. 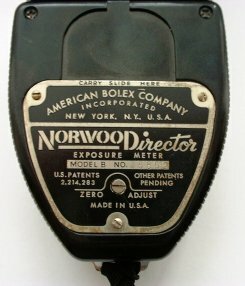 It was, unlike later Japanese made models, manufactured in the USA by the American Bolex Company (yes, they really were called that - the O was pronounced as in oh fortunately). That company mainly manufactured high-end 16mm cine cameras. Do visit John Desq's beautifully produced information about these meters. 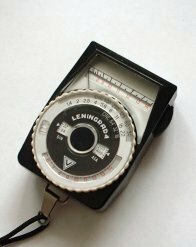 Russia has produced meters under the Leningrad name for as long as anyone can bother to remember. The model 4 shown dates from 1979 (21st Feb to be precise) and for all it's lack of elegance and clumsy thick leather case, it does actually still work well. Typical of it's bad design is that there is no lock for the film speed setting so it's very easy to change it by mistake. This little AVO meter produced in the UK in the 1930s warrants a page to itself. The Lunasix has been around since the 1960s and has been continuously developed since then. It's boast that it could accurately measure in moonlight made it an instant success with photographers who were starting to explore the possibilities of fast films such as Ilford's HPS and Kodak's Royal X Pan in their mechanical Nikons with f1.4 lenses. Weston ignored this market in the UK, except for the Japanese made XM2, to their cost. 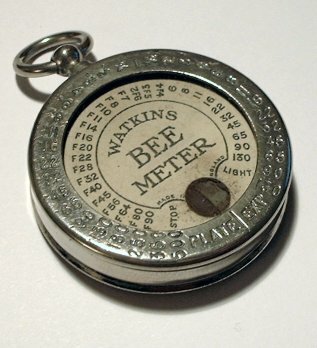 The Watkins Bee is the predecessor of the electric exposure meter. It was made around 1921 by Watkins Meter Company of Hereford and works by inserting a piece of sensitive paper and exposing the meter to the light. The photographer then counted off the seconds until the paper darkened to a given tone. The time this took was translated into an exposure time using the numbers engraved on the device. It cost five shillings then and one can be had from Ebay for a few pounds. 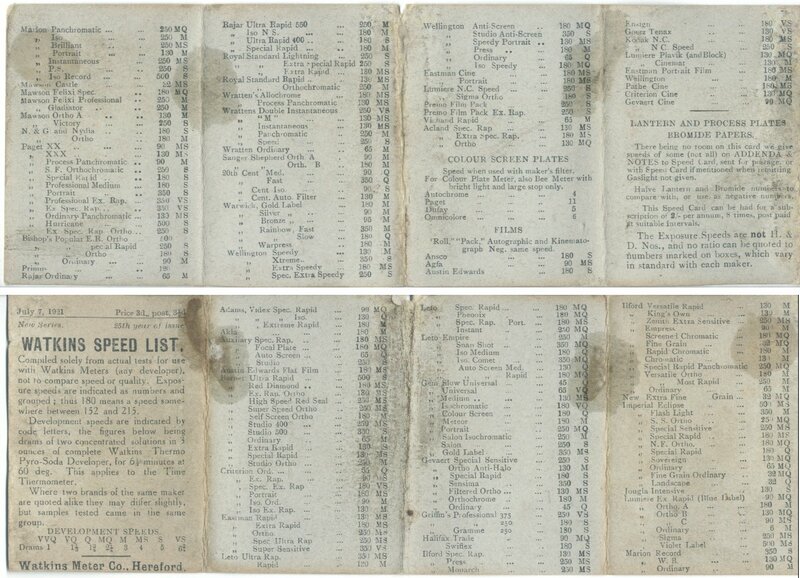 The instruction book - 12th Edition - which was 3 pence extra and is an absolute delight, is reproduced here, along with the Watkins speed list. 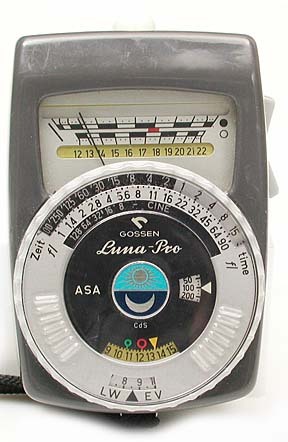 The Gossen Sixtry of the 1960s was West German made and designed for the amateur market. It used a white plasic "roller shutter" to protect the dial but if partially opened, it acted as an incident light device. The colourfull instruction book is here. Looking for even more? Take a look at James Ollinger's huge collection here. 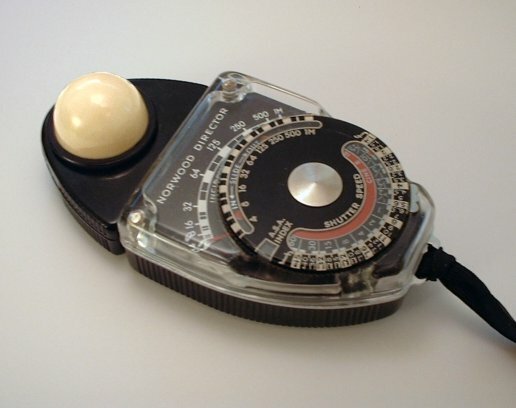 Made in Japan and no great design icon, the Viceroy was a cds meter with a high and low scale. A poor man's Luna-pro perhaps but very practical in low light situations. The meter had a sliding translucent dome for incident readings.